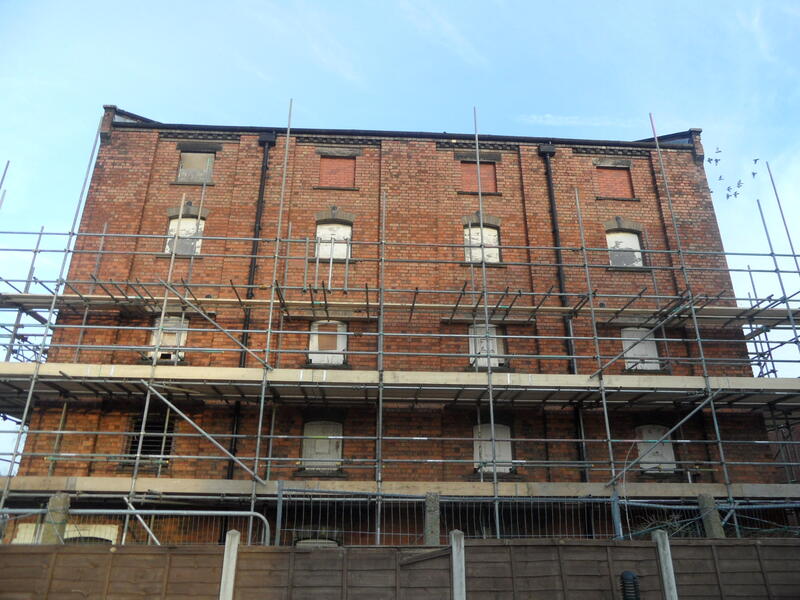 I’m certainly not the first person to write about the deteriorating condition of the Angel Croft hotel, and I suspect that I won’t be the last – it doesn’t look like it will be relinquishing its place on the English Heritage at Risk register any time soon. Personally, I have no connection with the building, I’ve never even been inside. As awful as it sounds, I can barely remember the days when it actually was a hotel. It seems to have taken on a new identity as a case study in decaying grandeur, about which regrets are expressed and rumours abound, but about which no one seems to know quite what to do. 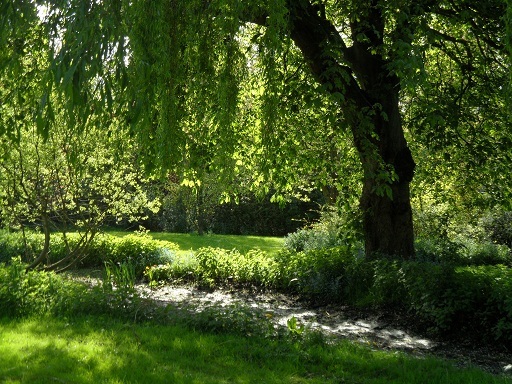 Of course other people will have memories of the Angel Croft – a wedding reception, a work do, a meeting, a reunion dinner, or even a weekend stay. 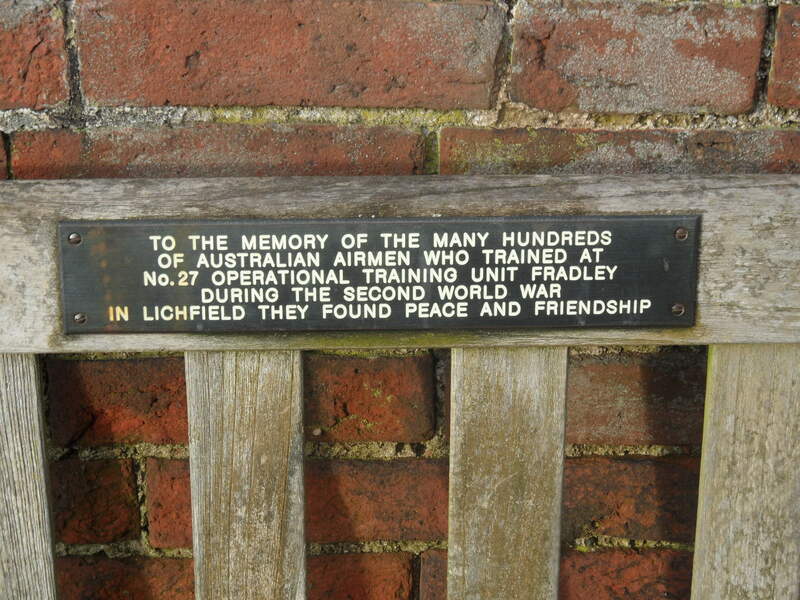 Walking through The Close recently, I saw this plaque on a bench, and it reminded me of an intriguing story I’d seen on the subject of the Angel Croft and memories a while back. It features on a blog about a man’s research into his great uncle Jack Purcell’ s time in the Royal Australian Air Force. Jack Purcell was posted to RAF Fradley and in the collection of his documents handed down to his great nephew Adam Purcell was a postcard of a view across Minster Pool marked with a small ‘x’. 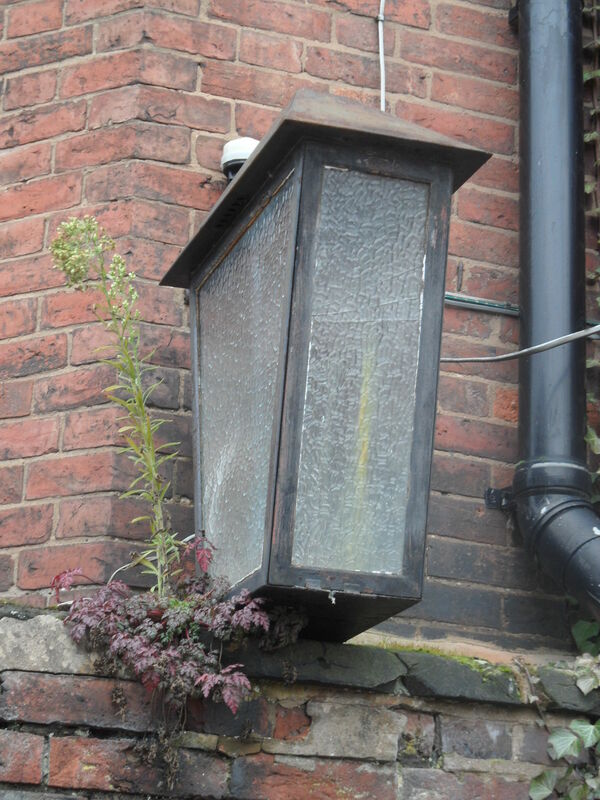 Adam believes the cross could be marking the Angel Croft Hotel… you can read the whole post in full here. It’s a fascinating story, but also a good reminder that it’s not only buildings that are vulnerable to the ravages of time, but memories too. Of course, it’s important to preserve architecture of note, but I have to ask, what are we doing to preserve the memories and stories that make buildings so much more than an entry on a list or register? 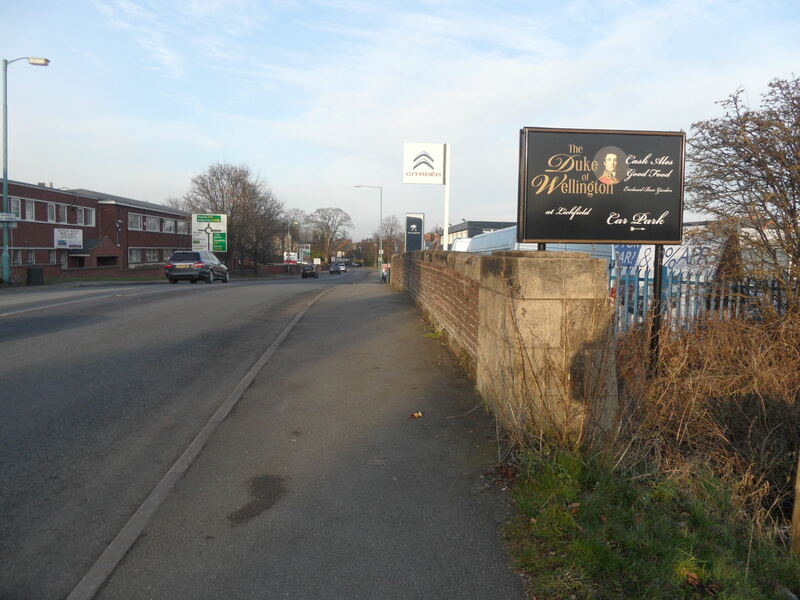 Note – I hope Adam Purcell doesn’t mind me featuring the story of his Great Uncle’s time in Lichfield. I shall contact him. 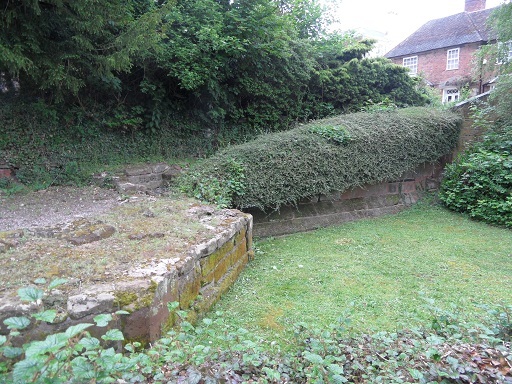 There’s some evidence that there were several stone crosses in Lichfield, although as far as I know, no physical remains have ever been found. The most well documented of these is the market cross. According to the Lichfield volume of the History of the County of Stafford (1), a market cross stood north of St. Mary’s in the late Middle Ages and then some time around 1530, Dean Denton surrounded it with eight arches and added a roof to keep the market traders dry. 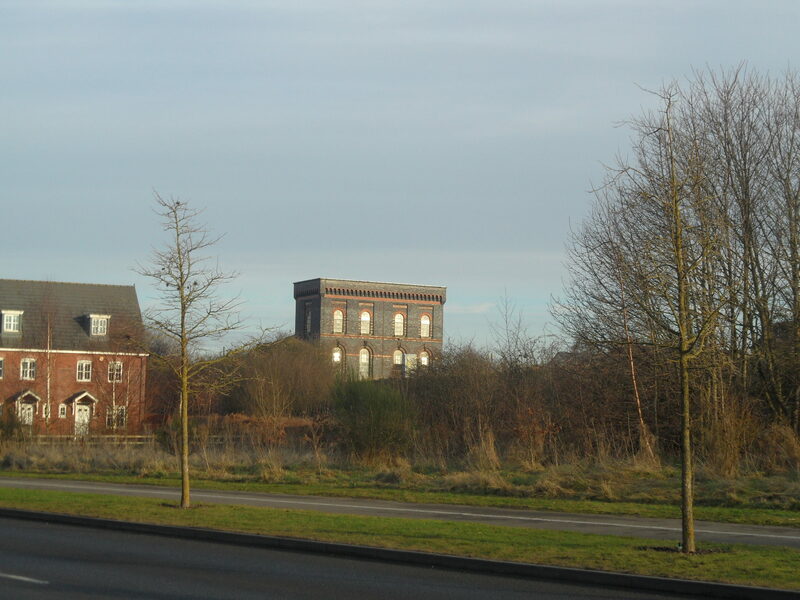 The building was topped with eight statues of apostles, two brass crucifixes on the east and west sides, and a bell, as you can see in this picture on the Staffordshire Past Track site. 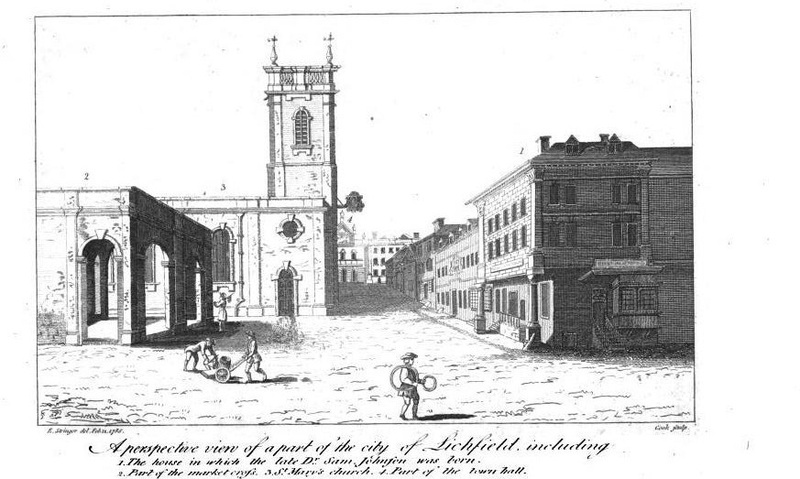 The cross was destroyed in the civil war, and replaced with a market house, as shown in the illustration below (although it is referred to as a cross on the notes?) which has also now disappeared. There is a possibility that there was a preaching cross in the grounds of St John’s Hospital as documentation shows that Dean FitzRalph preached outside in the cemetery. 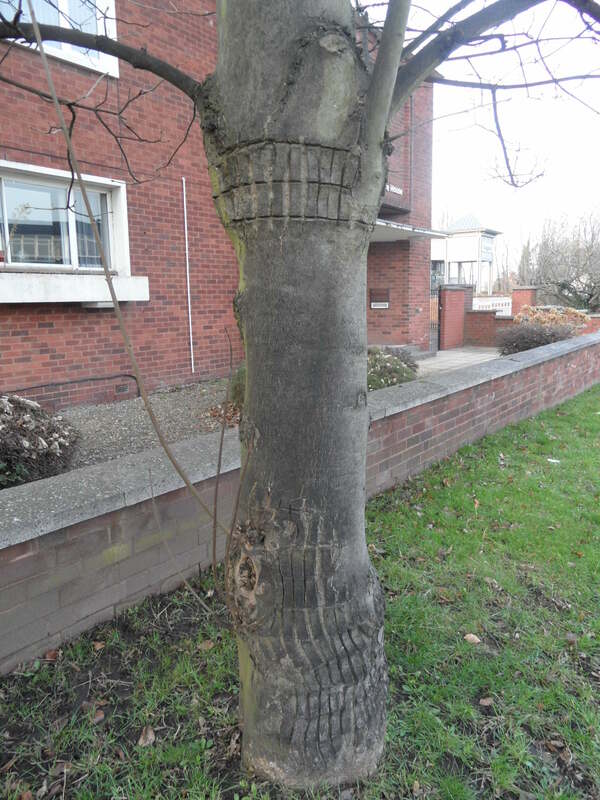 (2) Information on this specific example is really sketchy, but there is a surviving preaching cross in Bloxwich which you can read about in a great article on The Borough Blog. 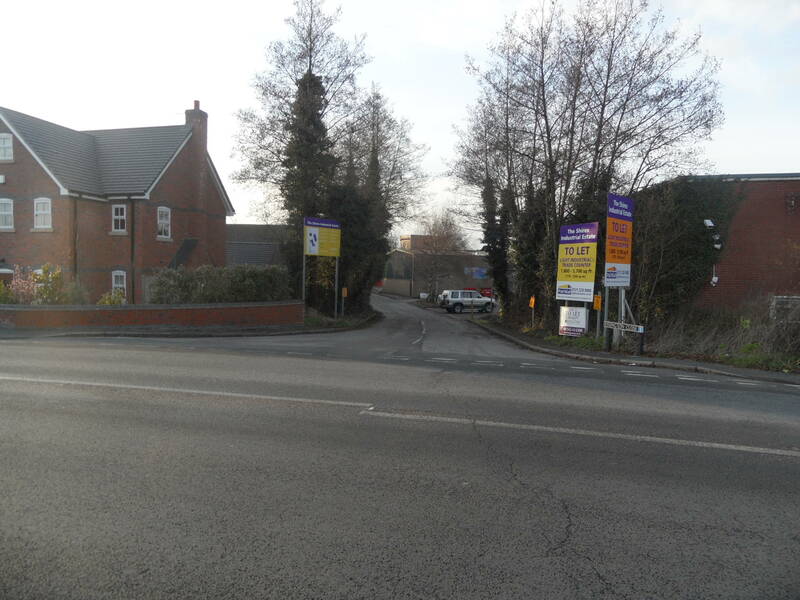 A cross apparently stood near Cross in Hand Lane in Lichfield, giving rise to a theory that it this is where the lane got its name from (the other theory is that is was a pilgrimage route, to St Chad’s shrine, where people would walk with ‘cross in hand’. The route has recently been incorporated into a new pilgrimage and heritage route called Two Saints Way). Harwood said, “(Beacon Street) extends from the causeway over the Minster pool which separates it from Bird Street to houses at the extremity of the city called the Cross in the Hand and where stood an ancient cross ad finem villas.’ The pastscape record for the cross is here. This week I came across another reference, this time Bacone’s Cross, and which was also thought to be in Beacon St, at the end of the town. Was the ancient cross at Cross in Hand Lane and Bacone’s Cross the same cross? The Bacone’s Cross/The Cross in Hand and the Tamworth St cross were both situated at the ends of the town. Does this mean that they were boundary markers of some sort? If so, could there have been more crosses marking other places on the City’s boundary. 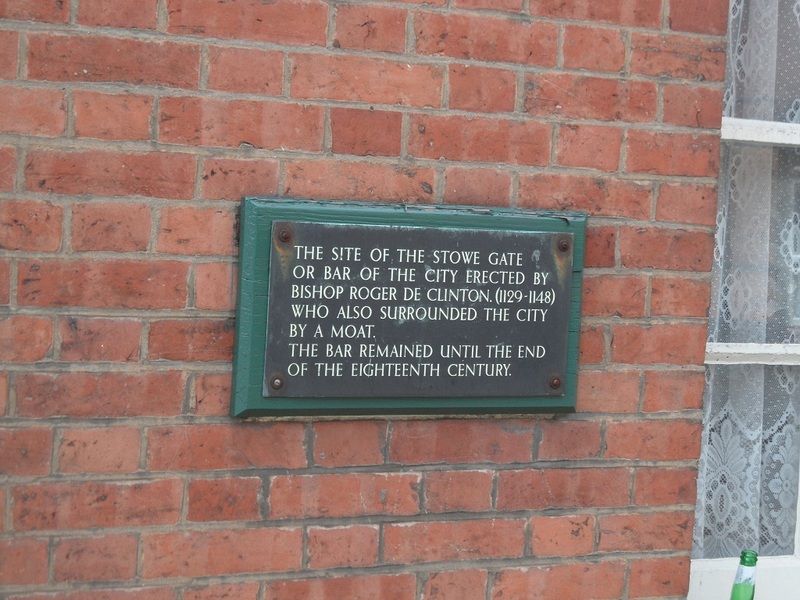 There were city gates at both Beacon St and Tamworth St. However, the probable sites of the gates don’t correspond exactly with the probable sites of the crosses e.g. 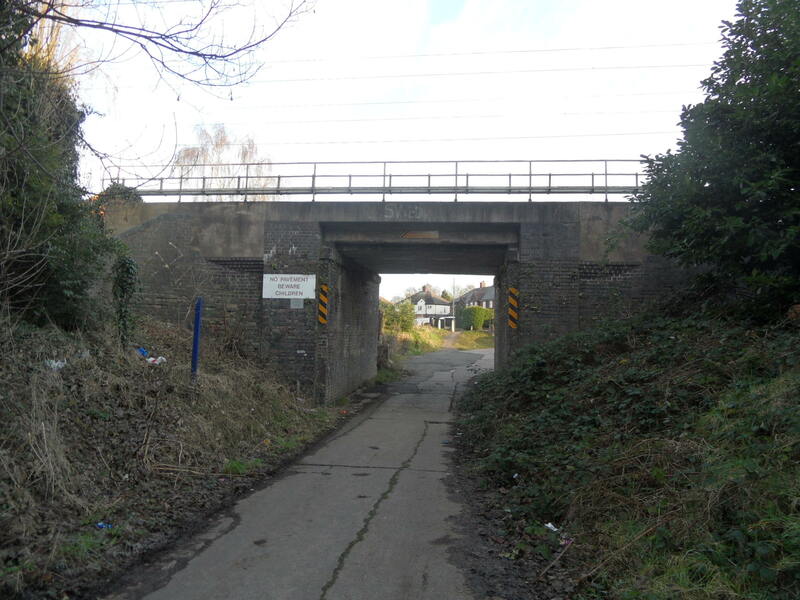 the above example says ‘between the Stow Gate and the Stone Cross’. Tamworth Gate plaque on Lee Garden Chinese Restaurant Credit: Ell Brown (taken from flickr photostream). Crosses were at an early date erected at important points in the line of boundary, and at each of the entrances to the town, namely, the Stone Cross or North Gate Cross at the north on the Sandridge Road, the Red Cross in Sopwell Lane, at the entrance by the old road from London, the Cross with the Hand in Eywood Lane, the Black Cross, probably at the angle where Tonmans Dike goes from the boundary of the houses in Fishpool Street towards the Claypits, and St. John’s Cross at an angle of the boundary in what is now known as Harley Street, but lately as Mud Lane. It’s interesting to see that some of the names are the same – Stone Cross, Cross with the Hand – but I don’t want to start jumping to conclusions until there is much more evidence! 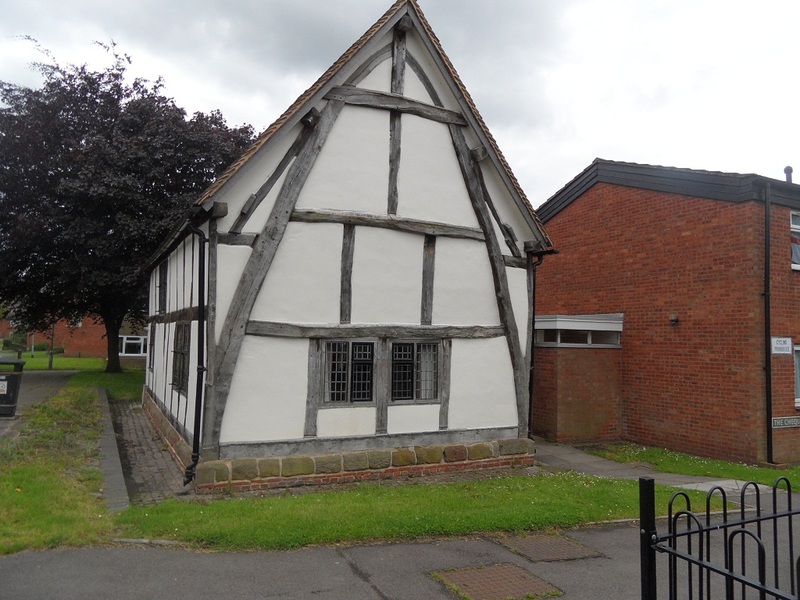 Finally, there is a document relating to property in Freeford (4), which describes ‘three selions of land at Lichfield, near Le Hedeless Cross, on the road towards Freeford’ in the time of Edward III – Henry V. Does this refer to the Tamworth St Stone Cross, or another cross altogether? Some crosses have been found in hedgebanks, with shafts used as gateposts. A number have been found by researching field names:two fields called Cross Park revealed previously undiscovered stones. I was hoping there would be an ancient cross somewhere in Lichfield. Well, I finally found one! Actually that’s a fib. What I found is a photograph in a book of archaeologists finding one. A decorated cross shaft was discovered built into the foundations of the north wall of the nave of Lichfield Cathedral. It’s thought to be Saxon or Saxo-Norman, and could be a surviving remnant of the earlier church on the site. I wish I could share a photograph here, but all I can do is tell you that it’s on plate 1 in the ‘South Staffordshire Archaeological and Historical Society Transactions 1980-1981 Volume XXII’ book, on the local history shelves at the library!. Water is in abundance at the moment, so Sandford Street seems quite an appropriate topic. The street was once split into two parts -Sandford St and Sandford St, below the water. I believe that the latter is now known as Lower Sandford St, lay outside the city gate, and was once the main road to Walsall. 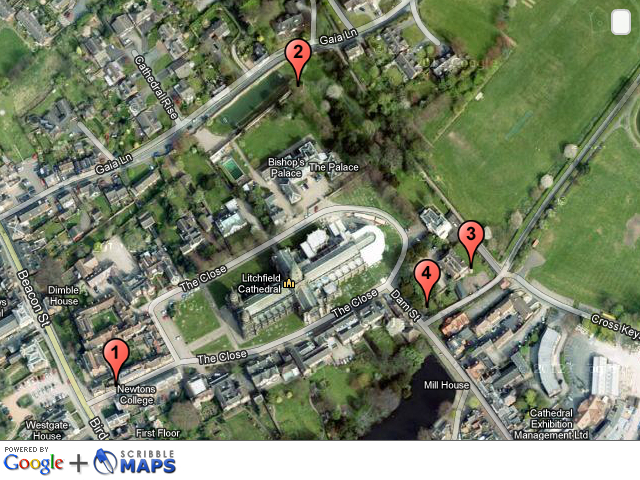 Hopefully, this will make more sense in conjunction with John Snape’s 1781 map. I’ve only just found out that around the same time as this map was made, an artist called John Glover painted a view of Lichfield Cathedral from Sandford St. It’s in the Samuel Johnson Birthplace Museum and can be seen here. The water in question seems to be Trunkfield Brook (formerly Sandford Brook) which still flows, with varying success, through the Festival Gardens. It’s thought that the name Sandford (earlier Sondeforde) might relate to a crossing over the brook, near to the gate. Apparently, a bridge was built there around 1520. I wonder if the brook was bigger in the past, as I’m pretty sure even I could jump over it. Almost. Trunkfield Brook, often more mud than water. In view of the above, I think that the symbol on the Sandford St below the water ward banner, as shown below, is pretty self explanatory. More of a challenge to decipher is the banner for the other part of Sandford St (i.e the bit within the city). Why did they choose to represent this with a bell? 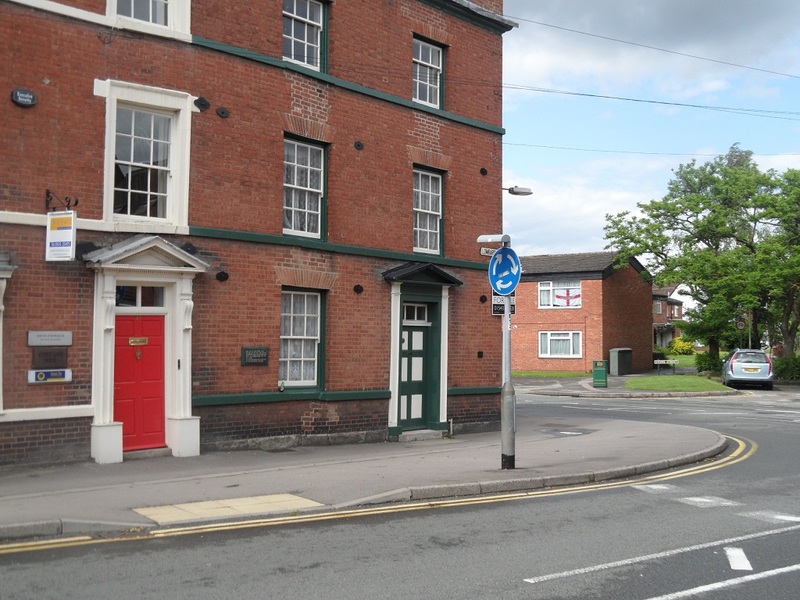 In the absence of anything I can find that links this part of Lichfield specifically to bells, so far all that I can think of is that it might relate to the iron & brass foundry set up in Sandford St in 1879. 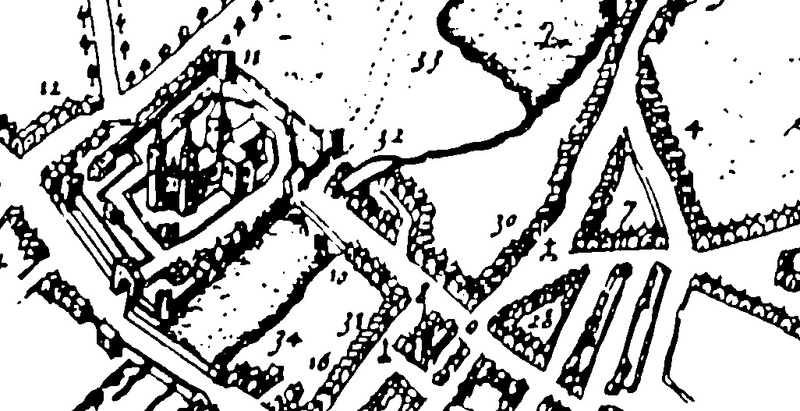 On an 1884 town plan, it’s shown behind the Queen’s Head. 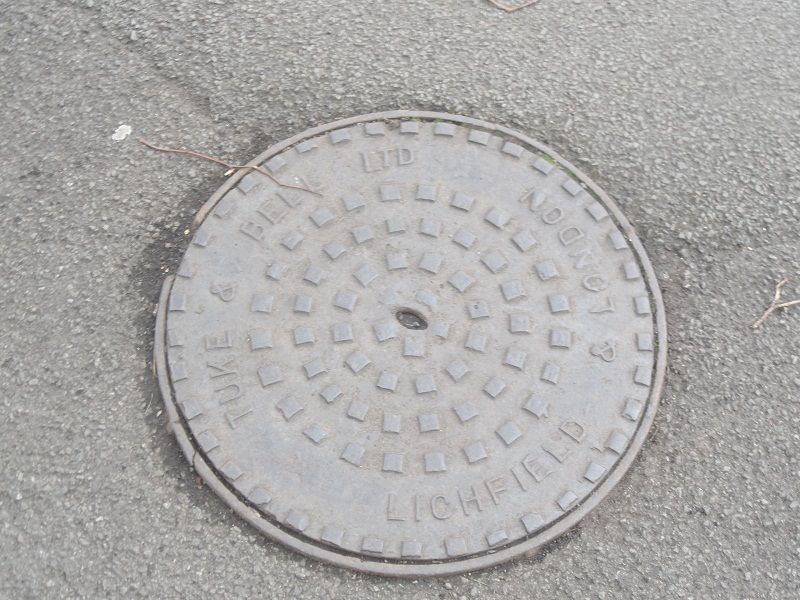 Although it was set up by a Yoxall based firm called Perkins & Sons, Tuke & Bell, who already had a foundry on Beacon St bought it in 1923 and renamed it the Lichfield Foundry Ltd. 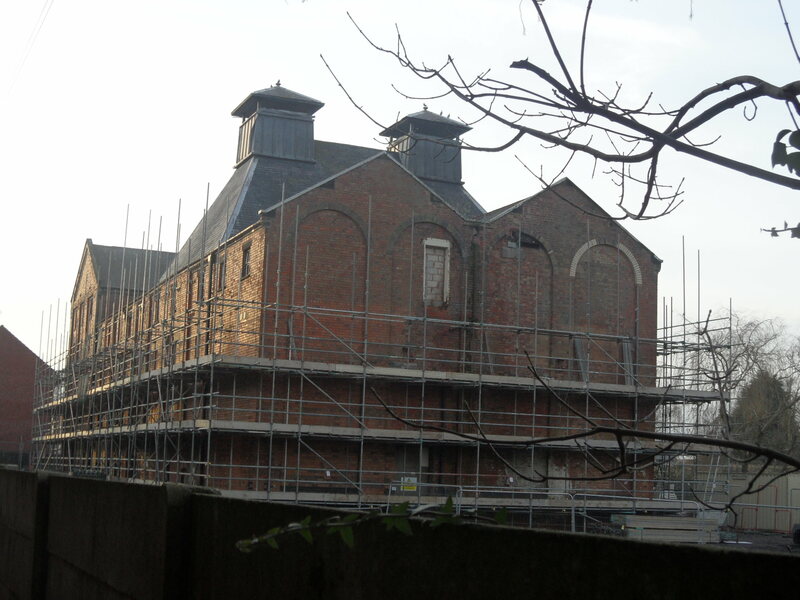 The Sandford Street works lasted right up until 1983, so there must be plenty who remember it, or even worked there. On a street somewhere in Lichfield. I’ll be honest, I forgot to note down which one! So, does this explain the bell? If so, it’s interesting that the foundry wasn’t in existence until 1879, and so the design on the ward banner is unlikely to date to before then. If not…..??? ‘Lichfield: Economic history’, A History of the County of Stafford: Volume 14: Lichfield (1990), pp. 109-131. URL: http://www.british-history.ac.uk/report.aspx?compid=42349&amp;strquery=sand Date accessed: 07 July 2012. A quick trip to the shop turned into a two hour walk, a good proportion of which was spend in the Stowe area of Lichfield. 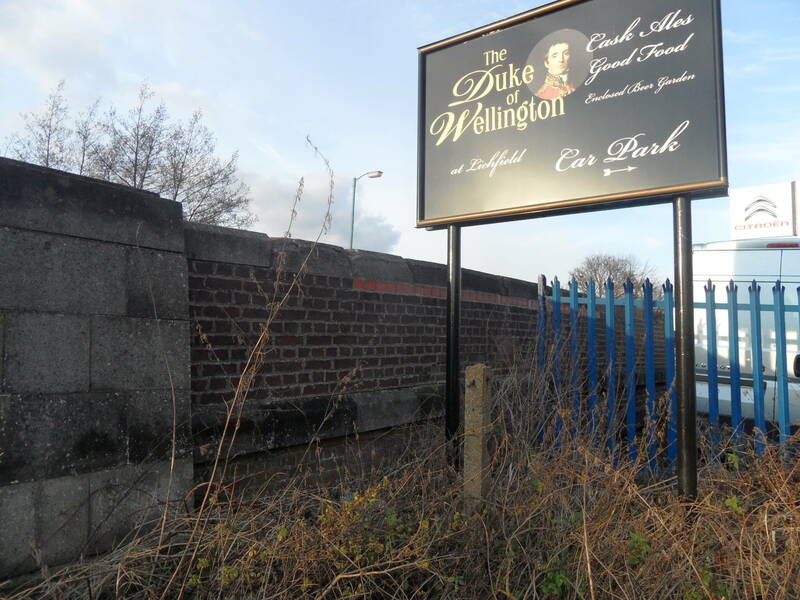 I found the plaque marking the approximate site of the old gate or barr into the city and then I remembered that the Cruck House was nearby. I wanted to get over to Stowe Pool, to see if there were any water lilies this year and crossed over using the bridge, something I hadn’t ever done in 8 years of living in Lichfield! 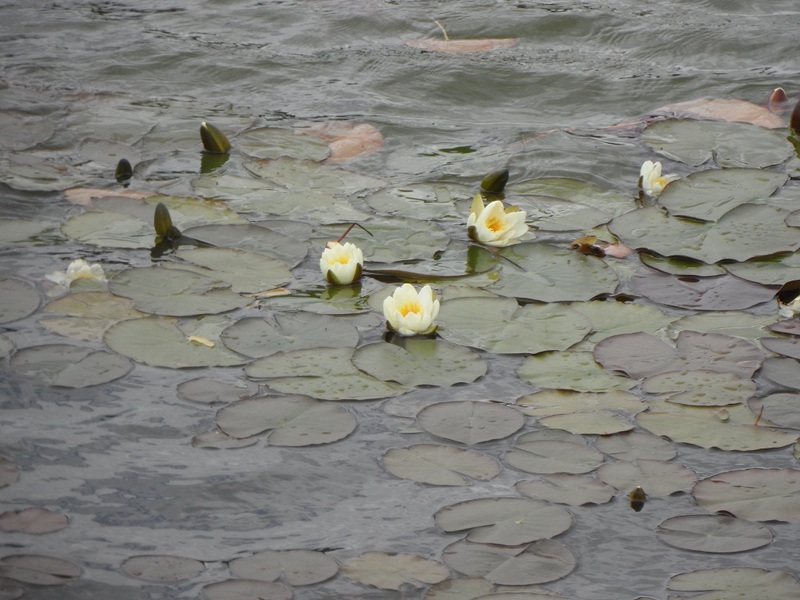 There were water lilies in the pool although possibly not as many as there were the same time last year. Whether this is because the sun has gone awol this year, I don’t know. I didn’t spot any nests amongst them either. 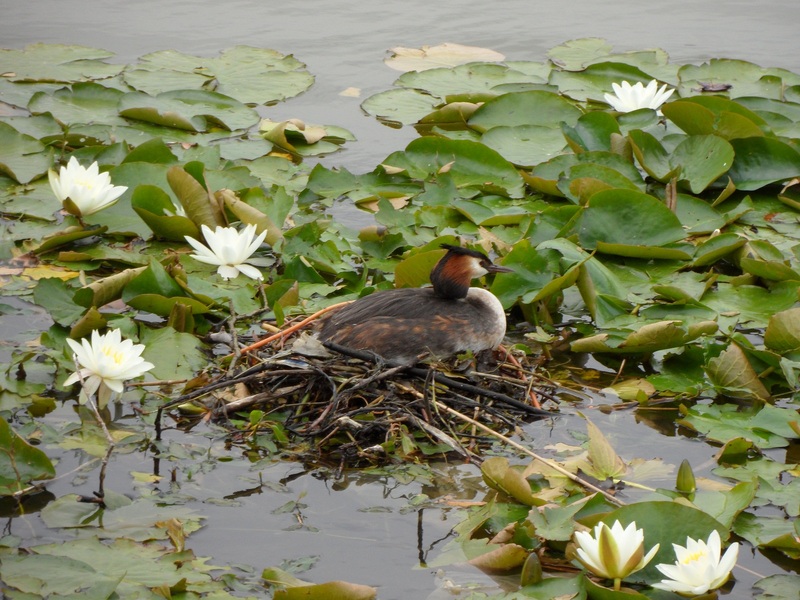 This might be as they’ve chosen to move onto the specially built wildfowl islands built in the centre of the pool instead! 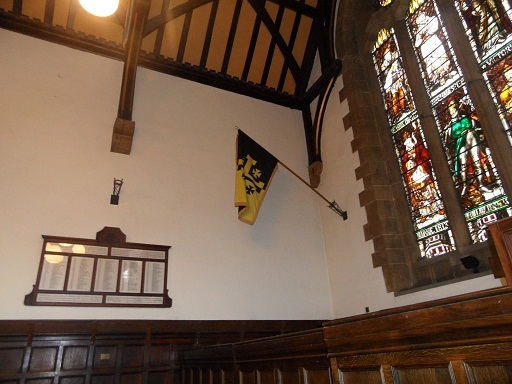 Back to the ward banners in the Guildhall and I think that Stowe’s is the one showing St Chad’s cross, relating to the fact that St Chad’s Church and St Chad’s well are found inside this ward. Although the Stowe St gate is long gone, I do get a sense of being outside the city here. It’s a wonderful place to explore and enjoy. 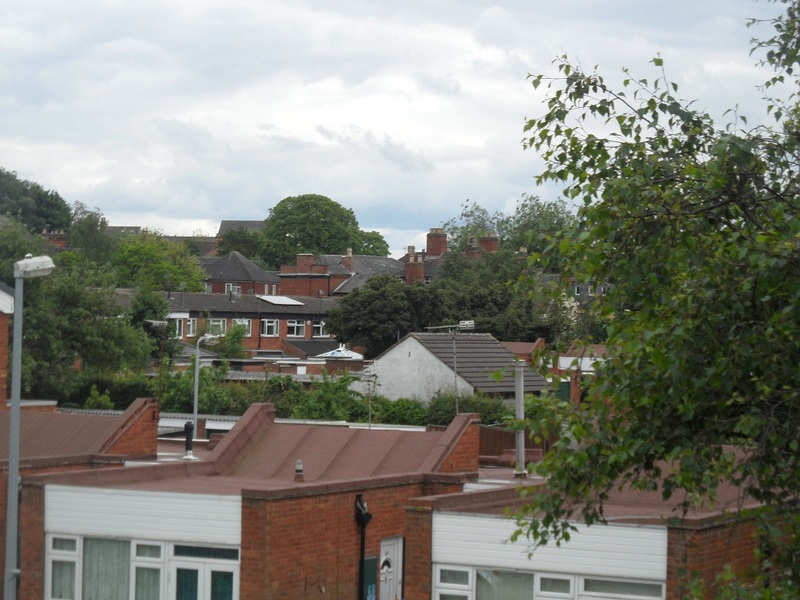 One of the definitions I’ve seen for the placename Stowe is ‘meeting place’, and from my lookout point up on the bridge I saw children playing, people out for a walk and couples sat talking. If you ever get the chance to join them, you should. 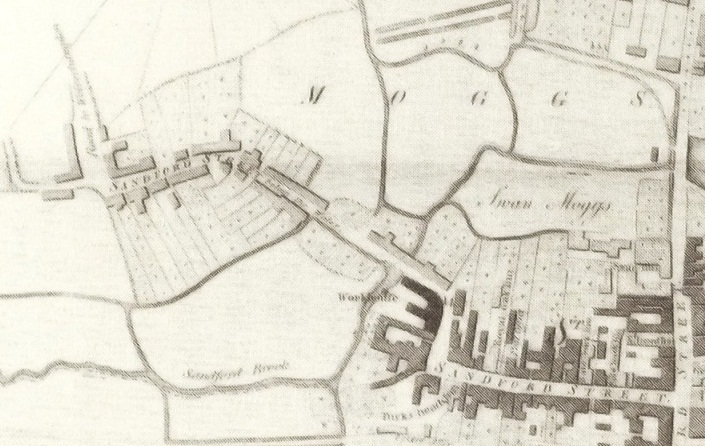 In 1781, John Snape carried out a census of Lichfield, making a list of the different wards of the city in the process. The wards are as follows: Bacon St (now Beacon St), Bird St, Sandford St, Sandford St below the water, St John’s St, St John’s St above the bars, Sadler St (now Market St), Bore St, Wade St, Dam St, Tamworth St, Lombard St, Stow St and Greenhill. 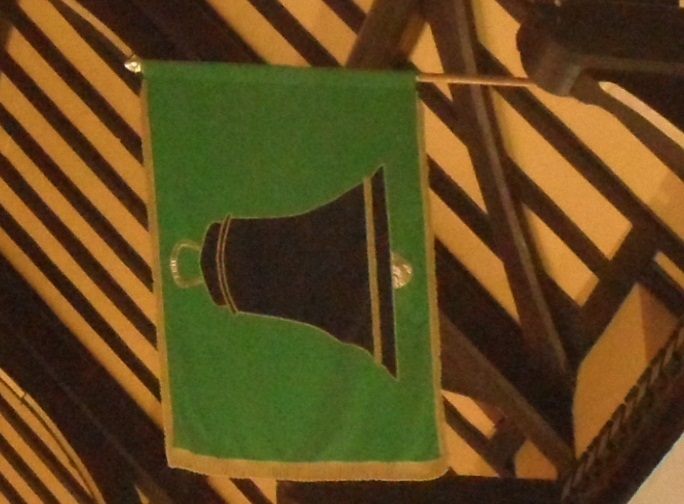 I’m starting with the flag that represents St John’s ward. Not only is it my favourite of the banners, it’s also seasonal with the feast of St John’s (or Midsummer’s Day) on 24th June. 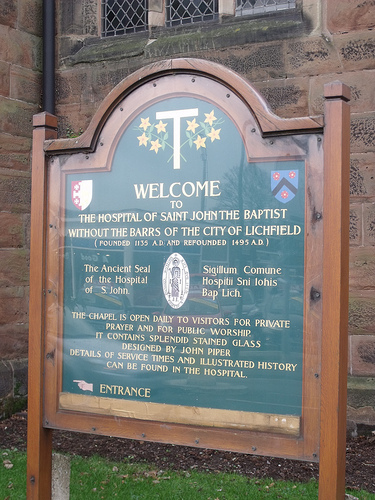 St John St gets its name from The Hospital of St John The Baptist (the place with the chimmneys!). 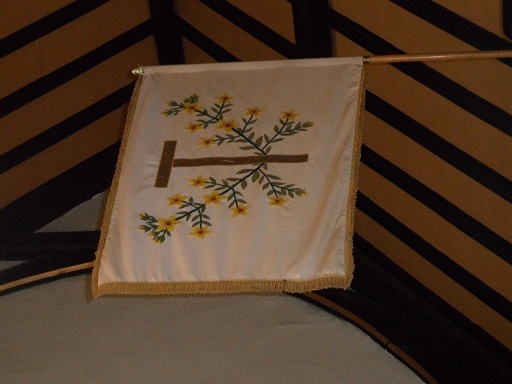 The design from the flag is also on the board outside St John’s chapel, but what does it represent? The yellow flowers must be St John’s Wort, associated both with the saint and midsummer. What are the flowers growing around though? Well, it’s taken a lot of googling but I think that it’s St Anthony’s Cross (also known as the Cross of Tau), often associated with St Francis. This possibly explains its inclusion, as the site of the Franciscan Friary lies within this ward . 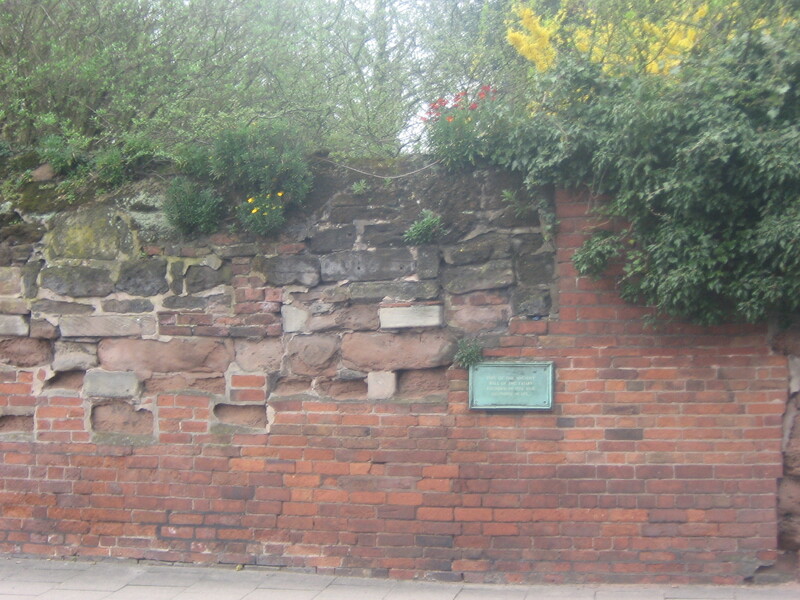 Part of the old Friary wall can still be seen on St John St. Please feel free to join in with the speculation on this and any of the other flags that follow! Photo of St John’s board from Ell Brown’s Lichfield Group photo set on his flickr stream, included with thanks. 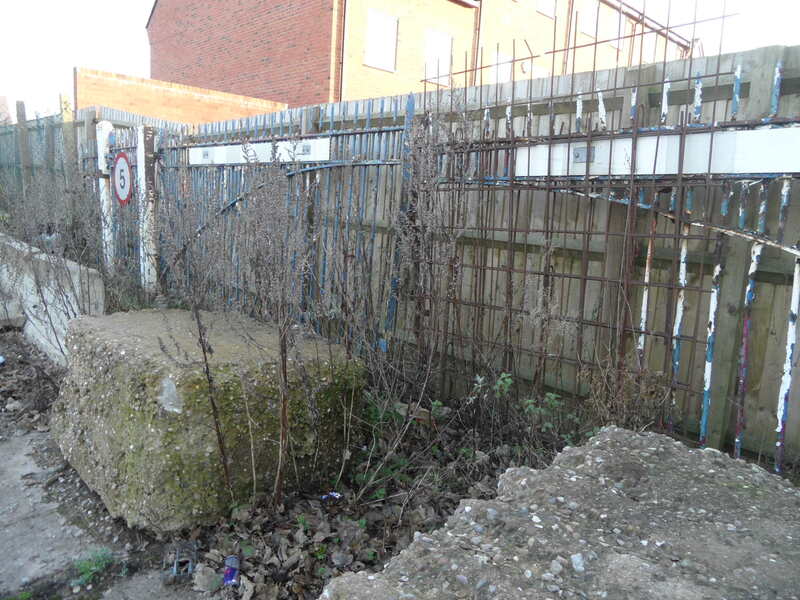 As I mentioned in the last post about the West Gate, some other remnants of the Close’s medieval defences are visible. I’ve marked the ones I know about, on the map below, with a bit of information on each. I’m sure there’s probably more, and we could probably work out where the other defences were, but it’s a start! 2. Remains of North East Tower & ditch. 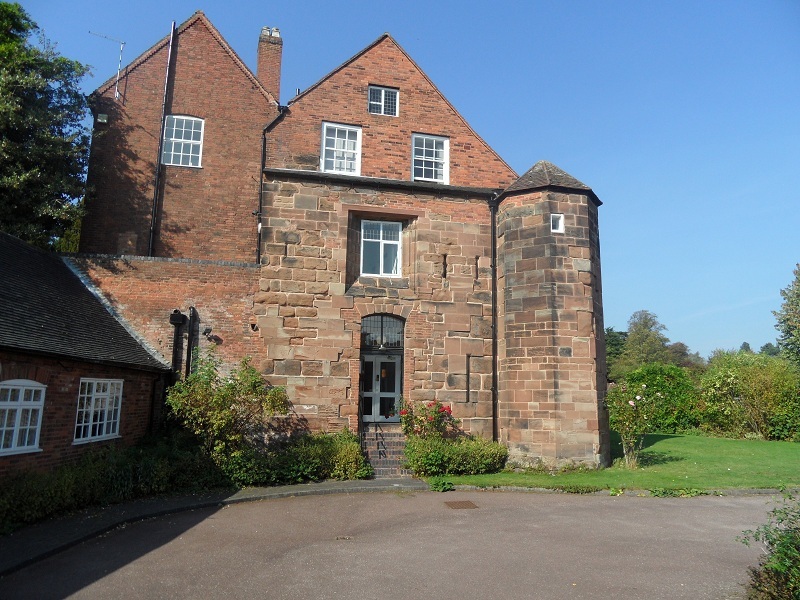 A scheduled monument, sometimes known as the Bishop’s Tower, this was part of the original, medieval bishop’s palace. The pastscape record can be seen here. A description of the tower and how it fitted into the rest of the palace can be found in several books on the Cathedral & Close (1) and is based on a plan that was held in the Bodleian Library (is it still there?). A plan drawn from this can also be found here. At the north east corner was a tower fifty two feet high and each of its ten sides thirteen feet on the outside. It was called the bishop’s tower and the ruins yet remain. Adjoining this tower was a square room with stone stairs leading to the top on the north west of which was an apartment with a cellar underneath twenty two feet in breadth and sixty three feet in length. The bishop’s lodging room was forty feet by thirty two with a leaden roof and cellar underneath. On the north side of this room was a large chimney piece opposite to which a door led to the dining room sixty feet long and thirty broad. At the east end was a door opening into the second tower which consisted of five squares eleven feet in width and thirty two in height. There were two apartments each twenty feet by seven separated from each other by the large hall chimney, , the lady’s chamber…the brewhouse…and the kitchen. 3. 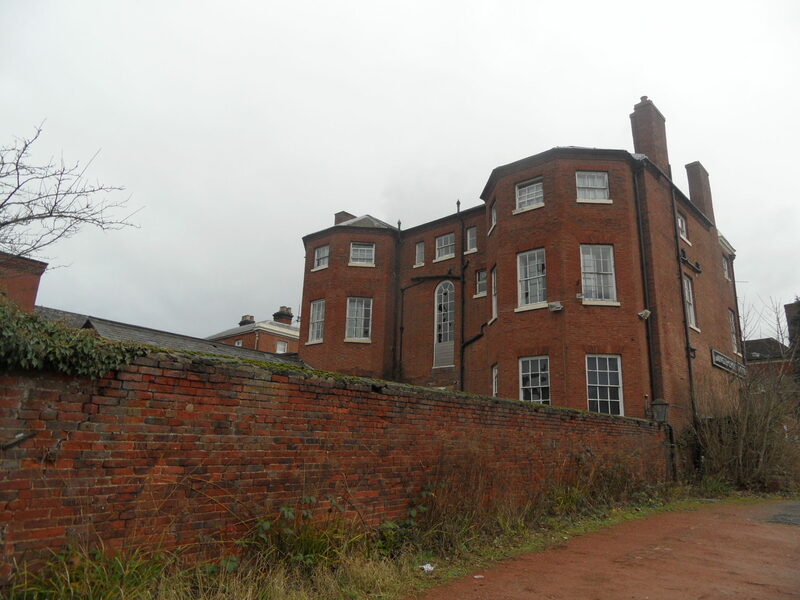 St Mary’s House. 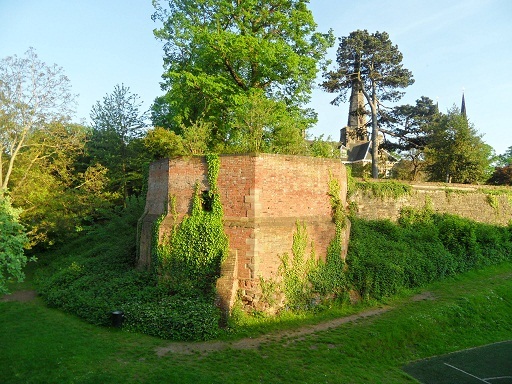 Incorporates a turret and part of the Close wall on the east and south side. 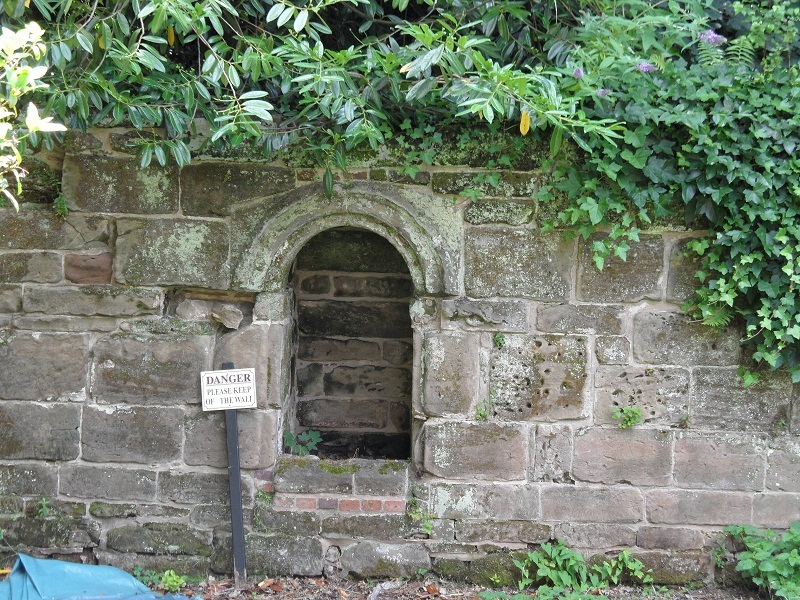 Not only are there are arrow slits, but there are also rumours of a secret tunnel down below….Actually, it’s not that secret as loads of people seem to have heard about it. The gate built by Langton at the south-east corner of the Close had two towers. The eastern one, whose base was excavated in the late 1980s, was a half-octagon with 12-ft. sides. The western tower was presumably of similar dimension. The gate had a portcullis in 1376. 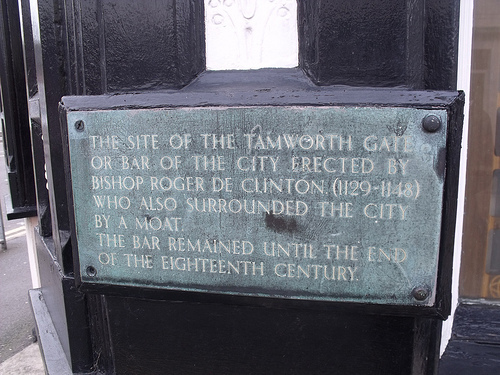 There was a drawbridge, still in existence in the earlier 18th century, which crossed the outflow of water from Minster Pool, and also a wicket for pedestrians. 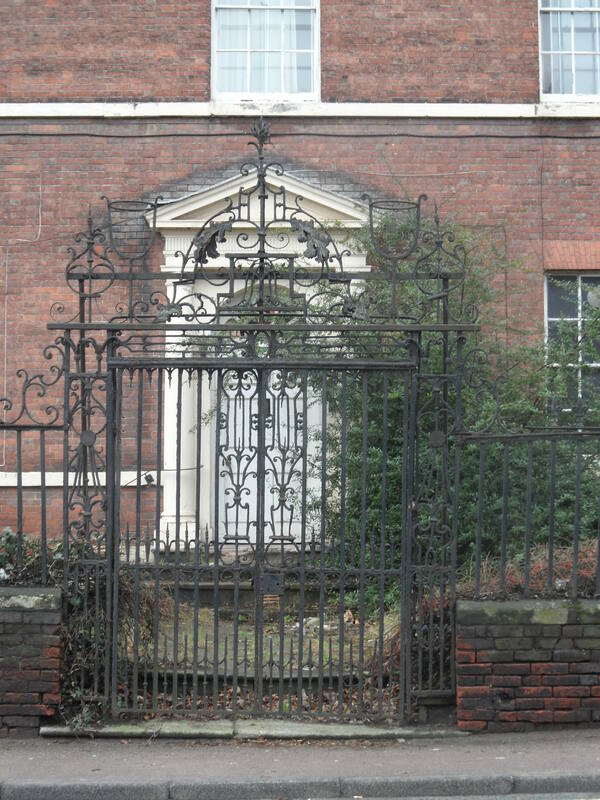 The gate was removed in the mid 18th century in order to improve access for coaches into the Close. 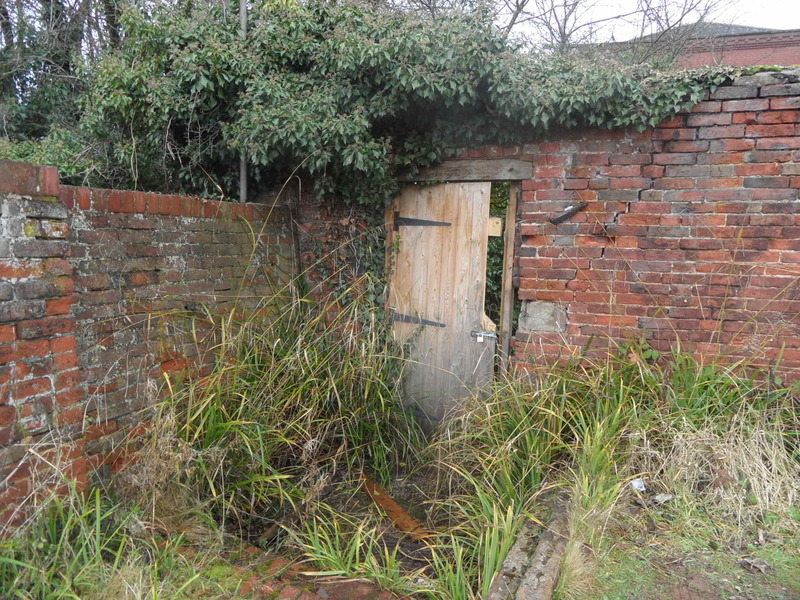 There’s also this bit of wall behind the Chapters coffee shop, which provoked a bit of discussion on Brownhills Bob’s Brownhills Blog, and with Annette Rubery. Especially about what that recess is! While I was having a flick through googlebooks trying to find information on the subject, I came across an interesting snippet. Adrian Pettifer, in ‘English Castles: A County Guide’ makes the point that that unlike the majority of cathedral cities, there was no wall around the city of Lichfield as a whole. So whilst the Close was protected by a strong wall, a ditch, 50ft towers, drawbridges and portcullises (when you put it like that it really does sound like a castle! ), what did the rest of the city have? Well, there was a ditch. 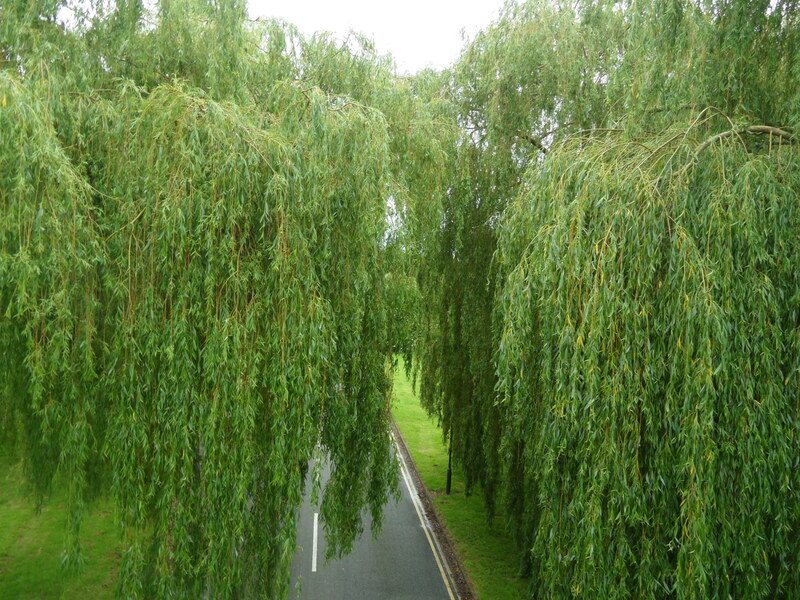 It’s thought even this was used more for controlling traders coming in and out of the city, than for defences. 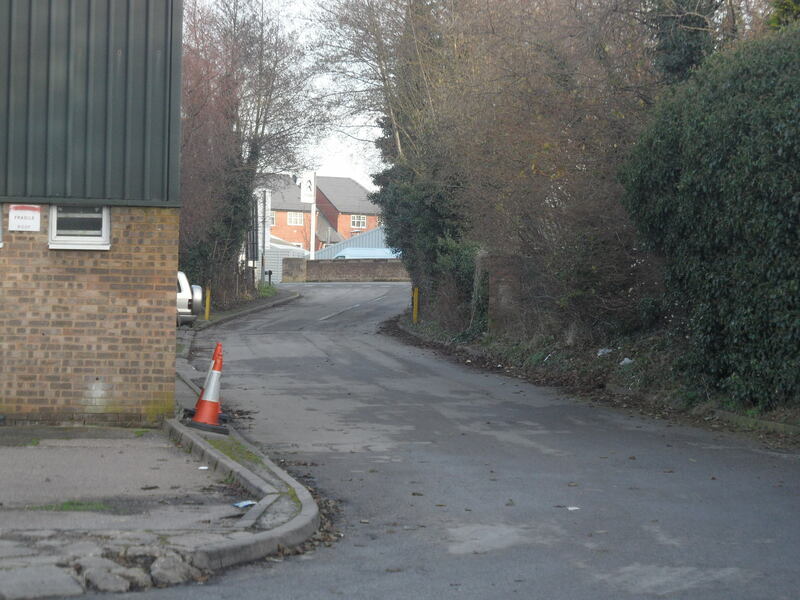 An archaeological dig carried out on the Lichfield District Council carpark in Frog Lane, also confirmed that the ditch was used as the city dump and found a variety of material, including it appears, the dog from Funnybones. 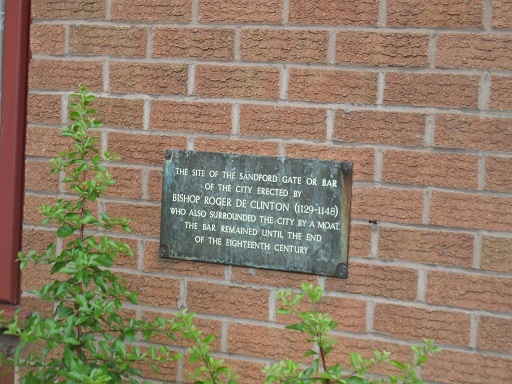 There were gates too, the positions of which are still marked by plaques. Again, though it’s thought these might not have been defensive. I think the ditch and the gates deserve a post of their own, so I’ll come back to them another time. This will also give me time to think about my latest question (one I’m sure has been thought about and answered by clever people already!). 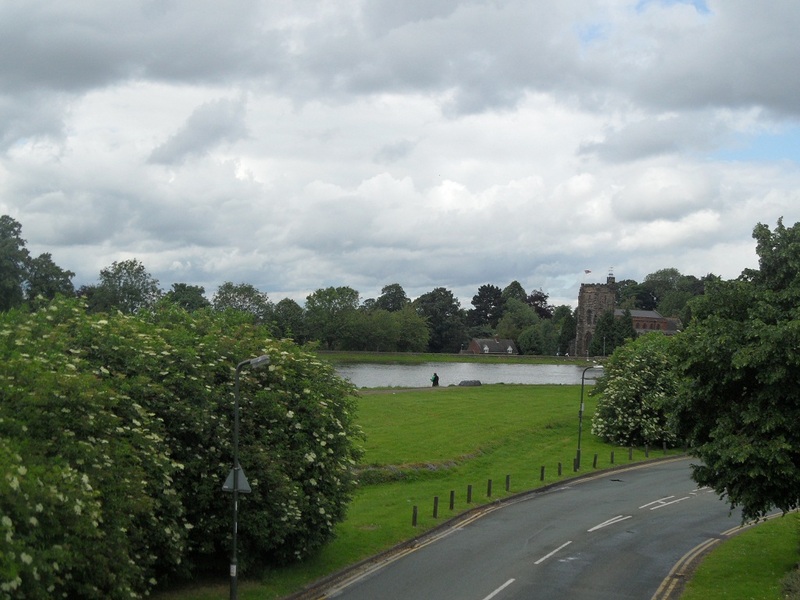 Was the city of Lichfield defended, along with the Close? And if not, then why not? Of course, if anyone has any ideas about this in the meantime, please let me know! (2) Thanks to this website http://gatehouse-gazetteer.info/English%20sites/3329.html for pointing me in the direction of some great links.